Simply the finest music rehearsal studios in the westside of Los Angeles. All rooms are now equipped with high powered sub woofers! It is and has always been our goal to provide a creative, friendly & quality environment for the many musicians who are working hard to perfect their craft. Whether you’re working on your live show, or perhaps just writing new material, preparing for an upcoming recording session, or just simply trying to have some fun making music, West L.A. Studios is the place where you can do it all. Our #1 priority is to provide you with friendly customer service and to insure that your experience here is a great one. We always give you an extra 15 minutes to get settled in prior to the start of your rehearsal and then 15 minutes, when you’re done to gather your things, in an un-rushed manner. What about our equipment? Here at West L.A. Studios, we are ultra passionate about providing our customers with pro gear that is kept in great shape. Our drum sets sound and look great, and we are nuts about keeping them that way! 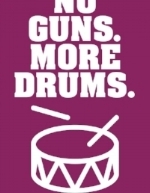 Drum heads are changed on a regular basis and pro level cymbals are included, at no extra charge. For you guitarists, we recently cemented a relationship with Supro, who are making amazing reissues of their tube combos, from the 50's and the 60's. These are sweet sounding amps, and we are proud to be able to offer great choices from our fleet of 7 of these beautiful beasts. We also have a great selection of other quality tube guitar amplifiers, ranging from a fleet of Fender combos, to Mesa Boogie, Peavey, hughes & kettner and more. For those of you who prefer the grunge of a solid state amp, we have a few of those too. Our selection of bass amplifiers is quite varied too. Eden, GK, Tech 21, SWR, Ampeg, Hartke just to name a few. All of our 4×10 cabinets are maintained on a regular basis, as is needed. In all of our rooms our P.A.’s now include the new Mackie DL series mixers. These mixers offer total flexibility and have some of the best sounding mic pre's in the business. Because of that, our P.A's sound really great and are really simple to use. Our P.A. speakers and amps are also very high end, enabling all of our P.A's to achieve excellent volume with an ultra clean sound...... (You can turn them up to 11). As a little bonus, at no extra cost to you, we have installed a stereo room mic that is connected to a cd recorder, in all 7 of our rooms, so you can record your rehearsal. Additionally effective sometime in September, 2015, we will begin offering, again for no extra charge, the ability to film your rehearsal, with built in video cameras and video monitors, in all of our rooms. Add to all of that, our staff’s smiling faces, free WiFi in every room, free pretzels and free coffee and tea, there is no better place to rehearse. It’s been a fun ride so far, and oh, if these walls could talk!! Come on down, take a look around and find out why you may not want to rehearse anywhere else ever again.